AAmerica, Inc., a pioneer in the furniture industry, continues to break new ground to exceed your expectations in delivery of solid quality and solid value in solid wood. Algoma Net Company has been in business over 100 years. Algoma is proud to present customers with their selection of the finest designs in hammocks and other outdoor lifestyle products. Algoma is known for quality, styling, and value. "The best relaxation under the sun." Archbold Furniture Company (AFC) has been perfecting the art of building solid wood furniture for over 100 years. Time-tested building methods, high-quality clear lumber, and premier Amish finishes provide furniture your family will love. Ashley Furniture Industries, Inc. is the largest manufacturer of furniture in the world. Established in 1945, Ashley offers one of the industry's broadest product assortments to retail partners in 123 countries. From design, through fulfillment, Ashley continuously strives to provide you, our customer, with the best values, selection and service in the furniture industry. Bassett has been America's first name in home fashion since 1922, when our family business was founded on the eastern slopes of the Blue Ridge Mountains of Virginia. Four generations later, we make more than mirrors that are worth looking into! Our Home Accents division offers a wide selection of decorative mirrors, framed art and lighting. 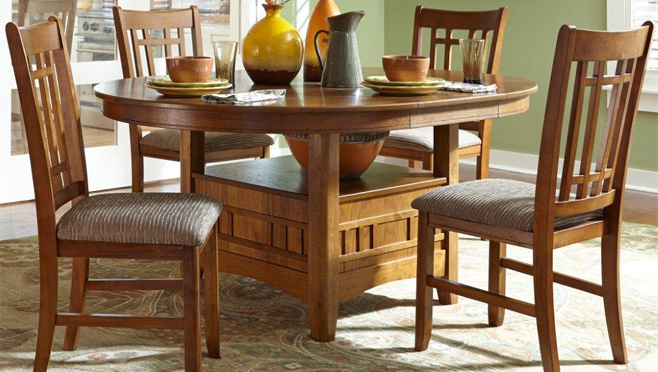 Our Furniture division includes living room tables, large accents, casual dining and mirrored furniture collections. Butler Specialty Company, which has emerged as America's No. 1 resource in accent furniture, celebrates its 83rd year in 2013 focused on a bright future built on its long-standing commitment to excellence and integrity. We are a family owned business since 1984. As we have grown over the past 26 years, Cal Lighting has become one of the premiere designer/manufacturer of quality lighting products in North America with manufacturing facilities located in China. Our mission is to provide the home furnishing and lighting industries with quality products at competitive prices, timely delivery and most of all, reliable customer support and service. Influenced in the beginning by rural American cultural styles, the classic designs of today's Carolina products are in harmony with the quality and craftsmanship expected by consumers. Bedroom products made by Carolina continue to reflect the charm of simple furniture traditions combined with today's trends, as well as being family owned and operated by a third generation who carry on a dedication to a family of satisfied customers. Founded in 1971, Tipton Manufacturing, Inc. (as we were called then) was located on South Main Street in Corsicana, Texas. Originally founded to manufacture furniture as well as bedding in the mobile home industry, we grew to meet the demand for quality mattresses and sleep systems. Cramco is a family owned and operated business based in Philadelphia, Pennsylvania offering both domestically manufactured and imported products. Cramco offers a large variety of high quality casual dining sets, in stock and ready for delivery. Their product lines include metal, wood, glass, marble/faux and laminate tabletops. Daniel's Amish Collection is located in Holmes County, Ohio, the heartland of Amish living today. Their hardwoods are locally sourced from sustainable forests in Ohio and nearby Pennsylvania. Timeless styles and stunning finishes custom created to perfectly suit every taste. Every piece is proudly hand crafted to the highest standards using traditional methods combined with the best materials available resulting in heirloom quality furniture to be enjoyed by your family for generations. Since 1964, England has been building quality upholstered furniture in the foothills of East Tennessee. England was co-founded by Charles, Eugene, and Dwight England whose goal was to provide employment to the people of Appalachia. Having long been recognized for quality and its rapid delivery system, England attracted the attention of La-Z-Boy and in 1995 England was acquired by La-Z-Boy to operate as an independent division. Franklin has been building quality furniture for over 40 years. Their experince means dependable furniture you can count on for years of enjoyment. Franklin's goal is to continually provide innovative feaures built right into the furniture. Franklin is proudly made in the USA by American workers who take pride in their work. Every frame is still built and upholstered in Houston, MS.
Gold Bond has been exceeding expectations in comfort, quality, and service for more than a century. Every Gold Bond mattress combines old-world handcrafted attention to detail with the latest sleep technologies. See why Gold Bond is one of the world's largest and most respected manufacturers of premium mattresses for beds and futons. HomeStretch is a domestic manufacturer of upholstered reclining furniture, available to the public through authorized retailers only. Their mission is to provide consumers with a high quality product at a compelling value. Based in northeast Mississippi, HomeStretch opened its doors in early 2010 under the direction of a team of industry veterans with a long history of furniture manufacturing experience. Seeking to provide consumers with stylish seating at an exceptional value, HomeStretch employees take great pride in their attention to design detail and their focus on product quality and integrity. The ultimate in comfort and function at a competitive price, HomeStretch products allow consumers to stretch their legs and their dollars. So come on...put your feet up! International Furniture Direct is a case goods manufacturer with factories in Guadalajara and Puebla, Mexico. Their product categories range from bedroom, dining, entertainment units, occasional tables, consoles, bars, barstools and more. Their unique style is characterized by the variety of materials they use, such as wrought iron, real copper and zinc, and exotic woods including mango and parota wood. Our sole focus is on the Living Room—we have been specialists in fashionable, comfortable sofas and recliners for over 75 years adding along the way, professionally designed tables and rugs to compliment our seating products. Jackson Furniture is proud to provide you with American-made comfort and quality. Since our inception in 1975, we've made it our mission to help people turn houses into homes, one impeccable piece of furniture at a time. With furniture for living, dining and entertaining, we're proud to say that we've built our reputation on an ability to produce furnishings that are as easy to live with, as they are on your budget. Katy Creek Lighting has been at your service for over 36 years with quality table lamps and floor lamps and coordinating accessories in a wide range of sizes and designs. The wide selection of wholesale lamps offers craftsmanship and artistry, as well as a variety of styles to complement any decor. With attention to detail, Katy Creek Lighting continues to provide superb products and first class service to its customers. For nearly 30 years, Kodiak Furniture has provided sit and sleep solutions for consumers looking for multifunctional furniture. The quality and comfort of our mattresses coupled with our sturdy and stylish frames, has set us apart from other competitors. Kodiak has its headquarters in St. Paul Minnesota. Located in central Wisconsin, Lang Furniture is able to maintain a strong and dedicated American workforce in an industry experiencing extreme pressure by overseas competition. Hard work and attention to detail continue to be the key ingredients in remaining a strong United States manufacturer, providing American-made bedroom furniture for the American consumer. We manufacture a full line of Home Entertainment, Home Office and Bedroom furniture right here in the good ol' U.S. of A. We also import select collections from several sources in Southern China & Malaysia to provide you with a great range of styles and price points. Our blended strategy gives you the best of both worlds from one world class vendor. Established in 1992, Liberty Furniture is a dedicated provider of all-wood products including bedroom, dining, entertainment, occasional, and home office categories. Their products are made with high-quality wood and the best veneers. They conduct an extensive, detail-oriented finishing process, including distressing. They use high-level hardward to ensure durability. Med-Lift started manufacturing quality lift chairs in 1990 and over the last 28 years has become number one in the world when it comes to quality and customer service. Med-Lift's goal is to provide customers with the most reliable lift chairs available. They continuously research methods and materials that will allow them to manufacture products that require less maintenance and provide more years of service. They have extensive testing performed on their wood frames by an independent furniture testing facility to insure long life and dependability. They have a large product line with many luxurious fabric options including the Crypton Super Fabrics which clean with ease. 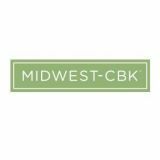 Midwest-CBK is a leading designer and manufacturer of holiday and gift products. They feature innovative and original artist driven designs which are created by our in-house studio team of artists and designers as well as nationally known licensed artists including Suzy Toronto, Wendy Addison, Nancy Malay, and Julie Ueland. We supply living room, occasional, and accent tables. Our business is built around "small scale". Family owned and operated with a staff of three fulltime employees handling all day to day operations. Our furniture is designed for smaller living spaces where space may be at a premium. Ort Manufacturing have been making quality reclining furniture for over 40 years. Currently there are over 70 frame styles and 360 quality fabric choices to ensure you find the perfect addition to your home decor. Using solid Oak, Maple and other select hardwood frames, corner block re-enforcements and genuine Legget & Platt mechanisms, a reclining chair from Ort will surely handle everyday use for years to come. And with limited lifetime warranties of frames and mechanisms you can rest assured that your recliner will last. Since 1989, Overnight Sofa has opened up a new era in sleeper sofas. An era distinguished by more luxurious comfort. More sublime styles. In a wider range of sizes, scaled to fit beautifully with today's smaller living spaces and demanding lifestyles. Forget everything you thought you knew about sleepers. Established in 1968, the company has grown to become the most recognized name in the furniture Industry for home accent furniture. From there Powell has expanded its capabilities as a full-service home furnishings provider through its Powell Kids, Bombay, and Powell divisions. Primo International is a leading Canadian importer of fine quality leather upholstery, fabric upholstery, mattresses, futons, casual dining, youth furniture and more. Founded in 1946, Riverside Furniture designs, develops and sources timeless, fashion forward home furnishings. Sauder Woodworking Co. is North America's leading producer of ready-to-assemble (RTA) furniture and the nation's fifth-largest residential furniture manufacturer. An authentic American original, 90 percent of Sauder® furniture is manufactured in Archbold, Ohio — right where we were founded in 1934. Simmons was founded in 1870, and is one of the oldest companies of its kind in the United States. Simmons' flagship brand is Beautyrest. For over 80 years, Smith Brothers of Berne has built a reputation for crafting fine residential furniture that is solid, comfortable, and stylish. Because we strive to build furniture that will last for generations, we shy away from the trendy, fad-driven styles seen on today's "throw away" furniture. Instead, we give our classic traditional American styling a subtle, modern flair that assures that each piece we make will be at home in any setting for years to come. Stein World finds, creates and delivers the finest and most unique hand-painted products from around the world. Established in 1985, Stein World has a rich history as one of the leading pioneers in the furniture industry. For more than 25 years we have developed true partnerships with the exceptional manufacturers and artisans who help us make Stein World products. Tennessee Enterprises, Inc. provides fine oak and other hardwood furniture wholesale to furniture stores and distributors throughout the United States, east of the Rockies, and Canada. Sales are made to a good mix of customers who are "Mom and Pop" stores, chain stores and larger distributors. Ultimate Power Recliner by Windermere Motion, located in Exeter, Pennsylvania, is the furniture division of Pride Mobility. Pride Mobility is one of the largest suppliers of power recline/lift chairs and mobility scooters in the world. This company understands the growing needs of customers, providing a lift chair that doesn't look "medical" yet provides the service needed.Now in developing Ultimate Power Recliner, they've stayed true to quality and comfort while staying at the forefront of the recliner market. Ultimate Power Recliner by Windermere Motion offers "Never Cold Again!" Zoned Heating and Crypton Super Fabrics. American Made, American Owned. Woodcrest creates smart designs that are sure to add versatility and functionality to your child's room. Made of solid pine, their youth bedroom furniture provides both durability and beauty.